If you are a regular reader here at Mondays with Mac you know that I'm very selective about the products I review. I get several requests every single day and only a handful of companies make it here each year. I need to feel good about the product I'm reviewing. I need to believe that if I'm recommending you spend a portion of your family's budget on a product it is one I would spend my family's budget on too. 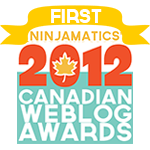 The company needs to respect my time and energy as a blogger and needs to value you, my readers, as their ideal customers. This perfect storm doesn't happen frequently. However, Nature's Path meets and exceeds that criteria. 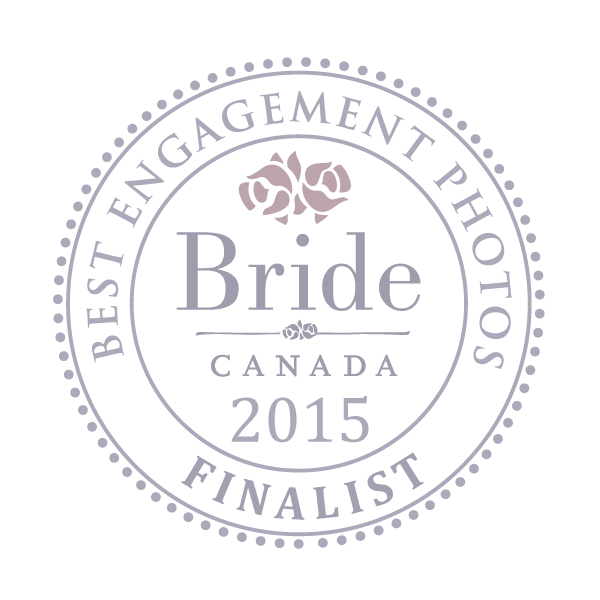 Nature's Path is a family-run company out of Richmond British Columbia. They are a third-party certified organic, non-GMO project verified, vegetarian company with a motto of "leaving the earth better than we found it." And they manage to do all that while creating breakfast foods and snacks that even picky toddlers will eat. Impressed? You probably should be. We received a gift pack of EnviroKidz products and Mac has been eating his way through the cereal and snack bars. His favourite being the Gorilla Munch. When you buy an EnviroKidz product, 1% of the sale goes to support endangered species, habitat conservation, and environmental education for kids. So far they have raised 1.6 million dollars! Each box focuses on a specific animal. 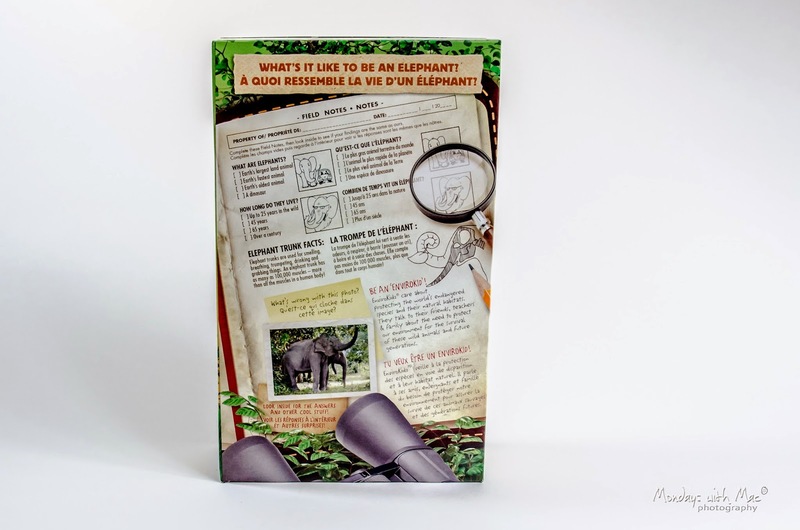 The back and inside of the box offer trivia about the animal, tips for protecting endangered species, as well as fun word and drawing games. 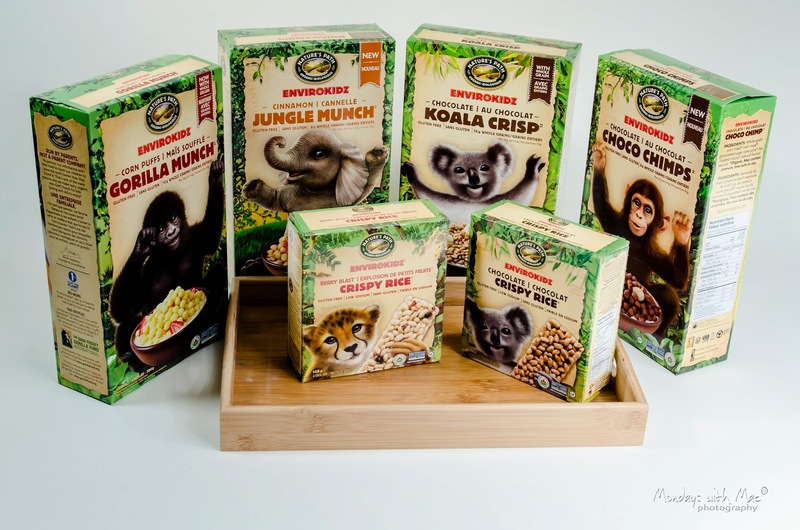 The EnviroKidz line offers a lot of great breakfast and snack options for families but Nature's Path also offers a tonne of products for the whole family with something to satisfy every specialized diet (vegan, gluten free, low sodium, reduced sugar, whole grain, and wheat free). My gluten free friend says that the Pumpkin Spice Waffles are the best frozen waffle she's ever bought (including non gluten free products). I would also encourage you to hop on over to their website, Facebook page, and Twitter page for more information on their products as well as environmental and health issues more broadly. If you have a question about one of their products don't be afraid to ask on their regularly updated social media sites. Have a look around and you will see that they really are a large company with an international reach who operates like a small family shop. Your questions will be heard and responded to quickly! Interested in trying some of these products? 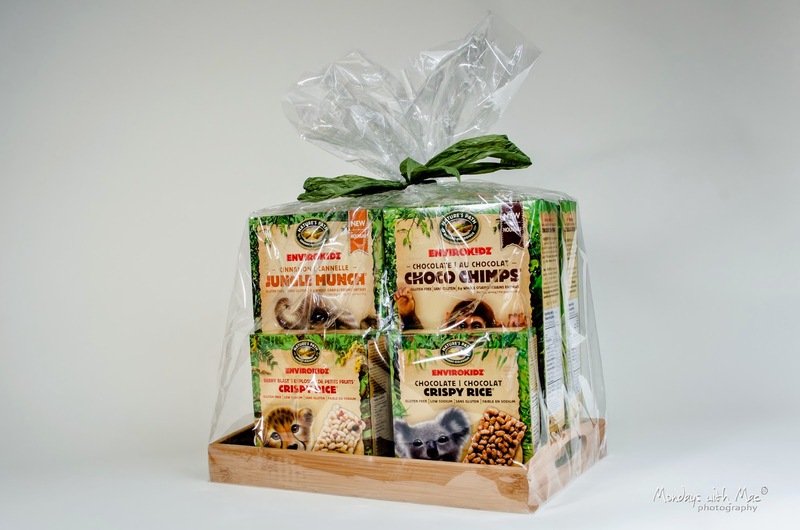 Help us celebrate Earth Day by entering the giveaway below for your own gift pack!